Four Frogs Crêperie is more than just a French restaurant – they are a real French crêperie, with full table service, owned and operated by four French men (the four frogs). 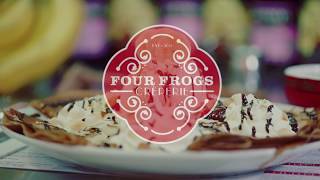 Four Frogs is what they like to call the home of authentic French crêpes in Sydney. 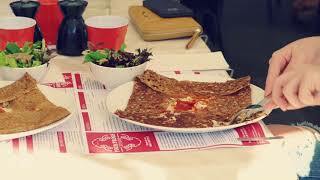 They serve savoury crêpes, which they call galettes made with gluten-free buckwheat flour (that they mill in-house) and of course the well-known sweet crêpes.